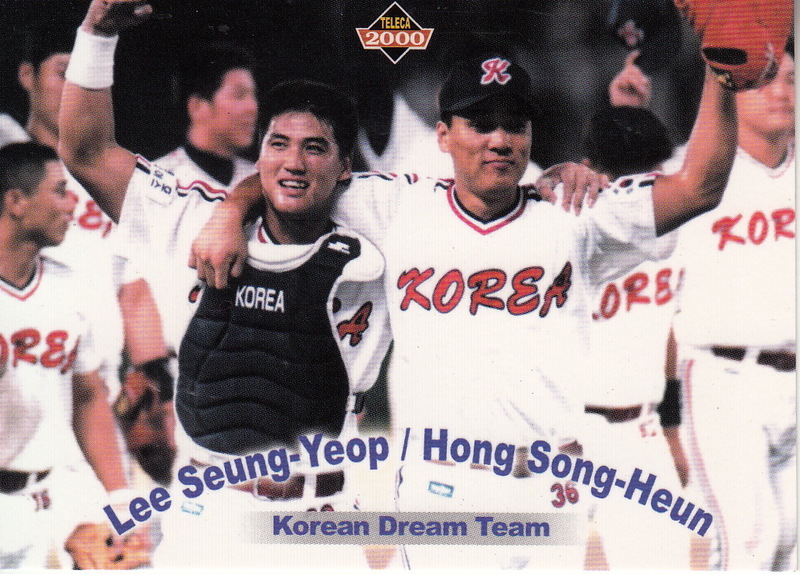 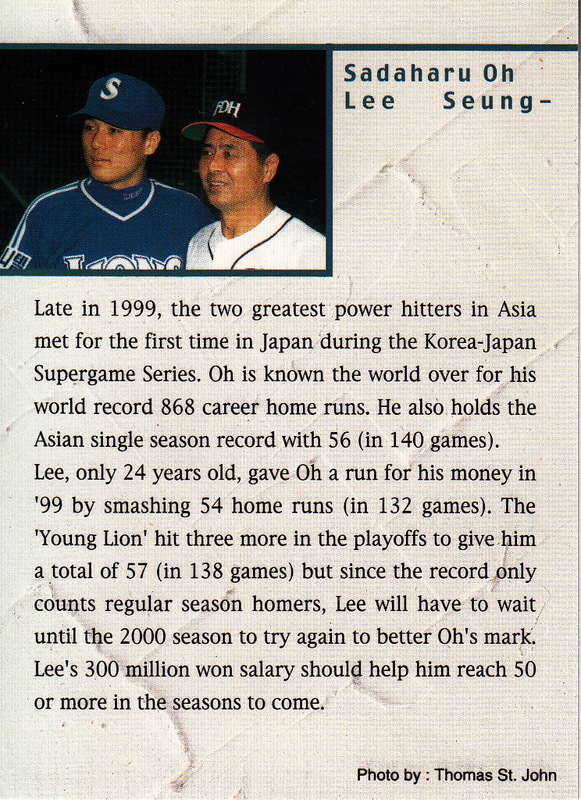 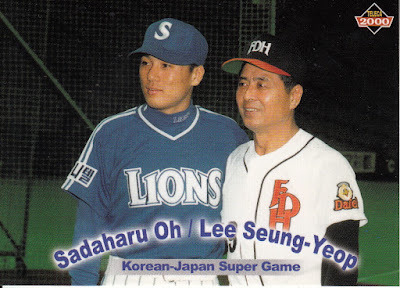 The photo on the Lee/Oh card appears in the 2000 Teleca insert set for the 1999 Korea-Japan Super Games but this card is not from that set. Chin-Feng Chen was a top prospect for the Dodgers in the late 90's - he was the first Taiwanese player to play in the majors when he debuted in 2002. 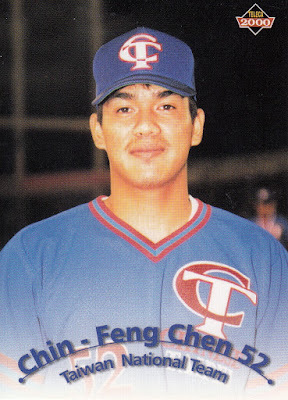 He played for the Taiwanese team in the 1999 Asian games so I assume that where this photo was taken. I've no idea what the story is behind these cards. 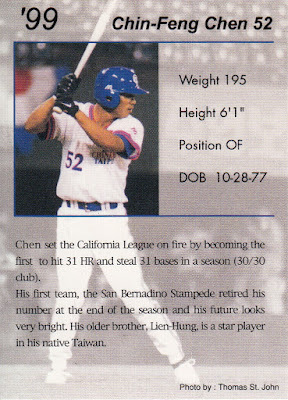 I'm guessing that since they're in English St. John had them printed up for the US market but I've don't think I've ever seen any for sale here (Rob Fitts might have had the Lee/Oh card but I don't remember for sure). And it probably goes without saying that I don't know if there are any additional cards like these that he did. I've had some contact with him in the past but it's been a while since the last time I've gotten a reply from him. 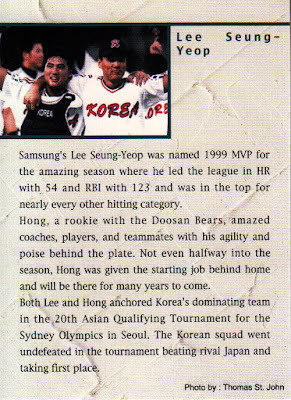 Dan's had some contact with him more recently - maybe he can find out the story.